In this case report we present a rare condition of an iatrogenic constriction of the ulnar nerve after elbow luxation and fracture of the radial head with stabilization of the fracture and suture of the medial collateral ligament of the cubital joint. The patient presented with typical symptoms of an ulnar nerve palsy right after surgery. 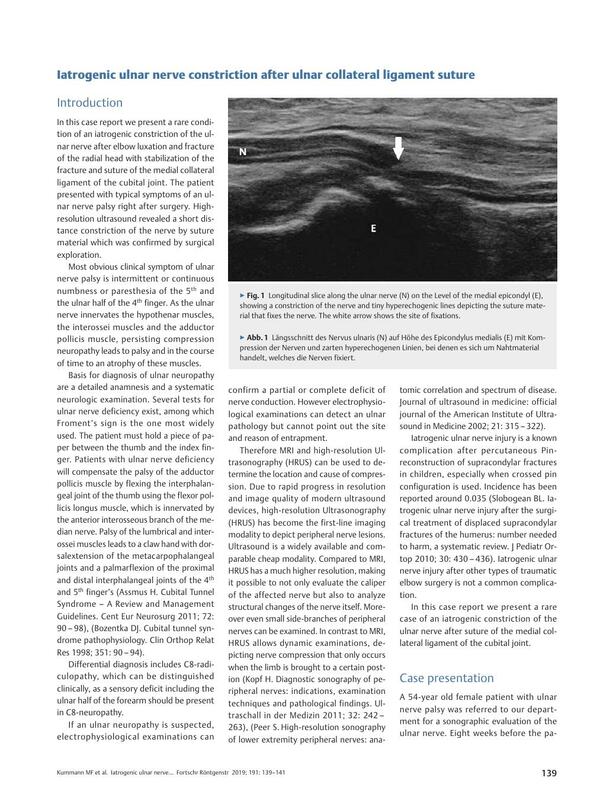 High-resolution ultrasound revealed a short distance constriction of the nerve by suture material which was confirmed by surgical exploration.